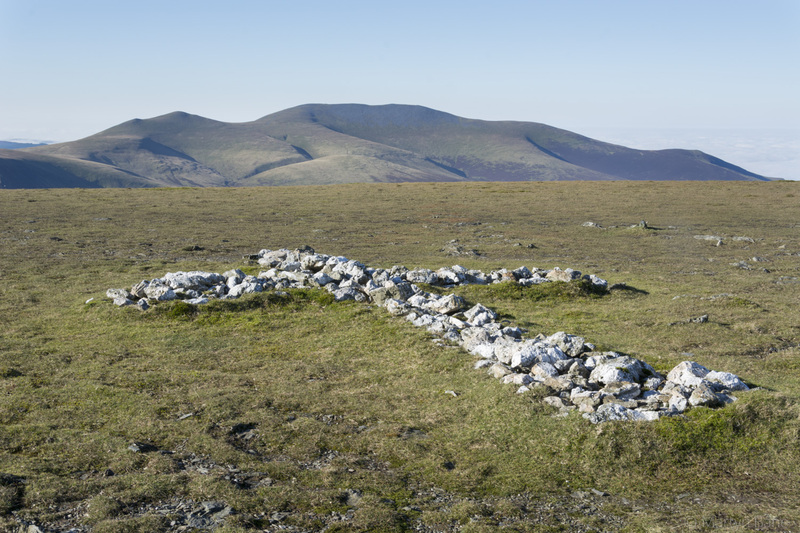 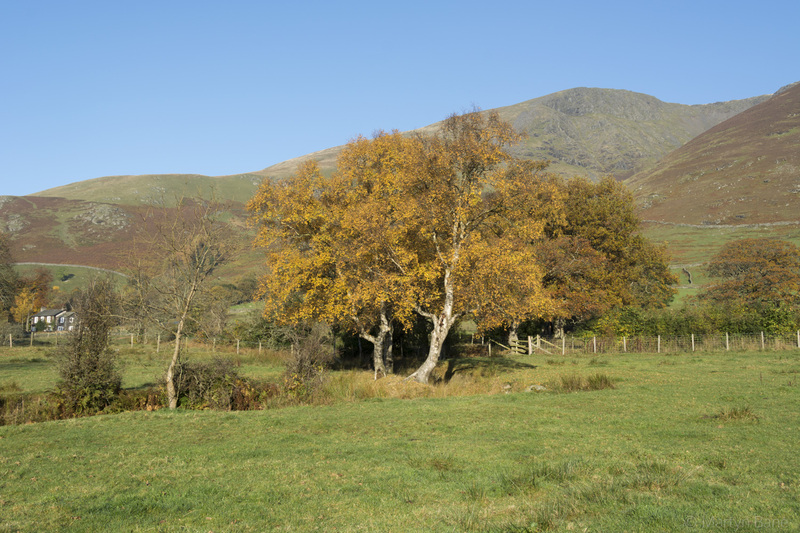 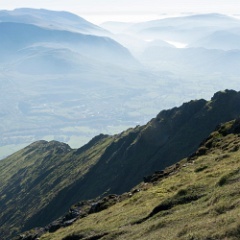 1 The target - Blencathra. 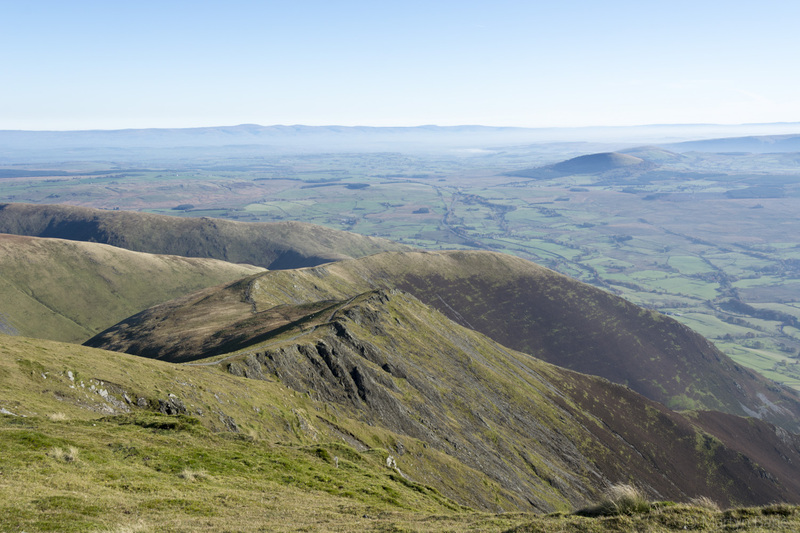 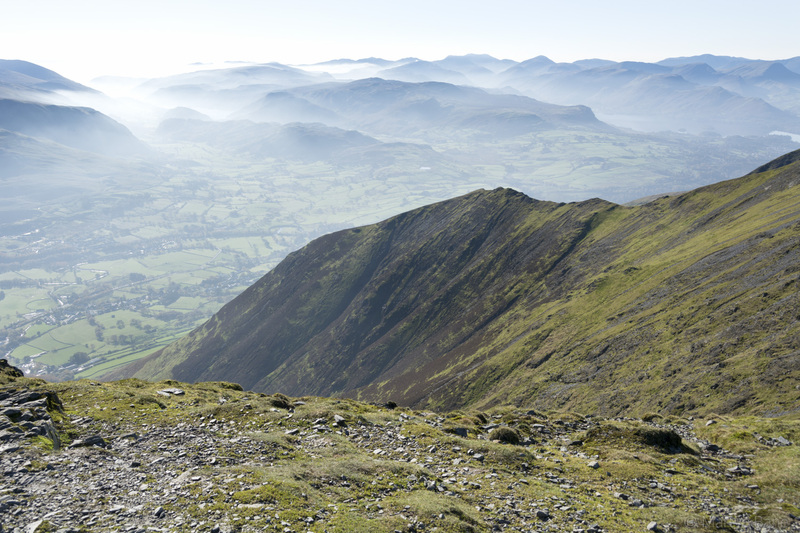 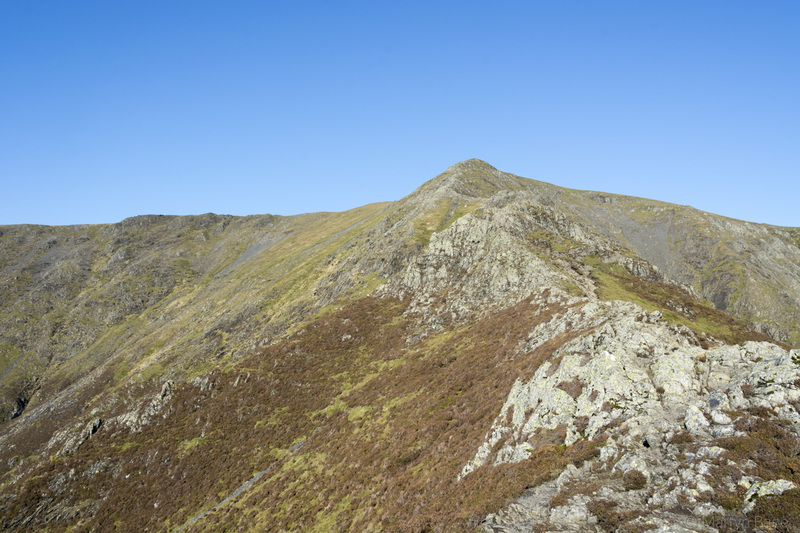 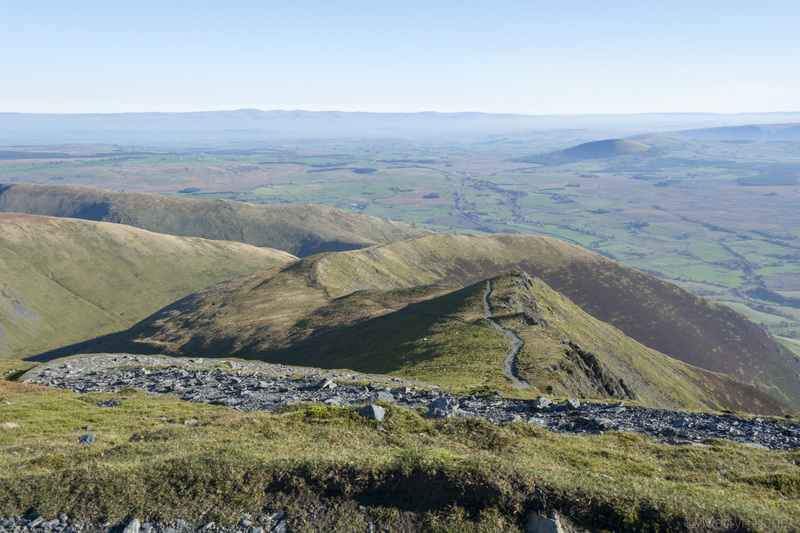 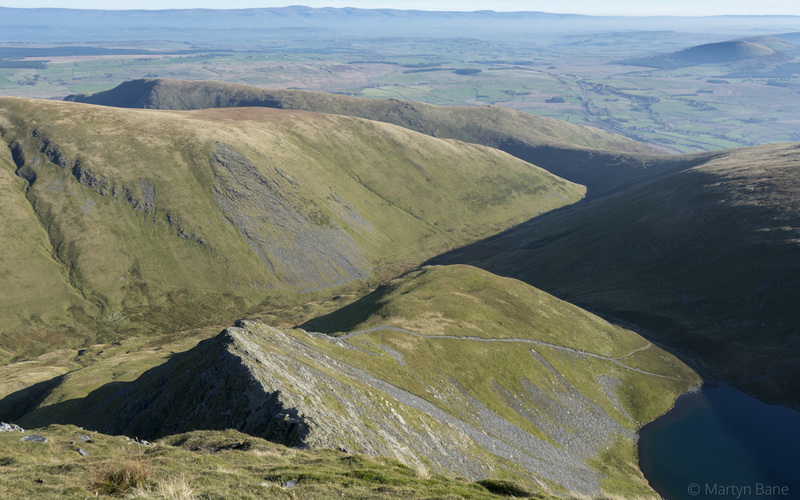 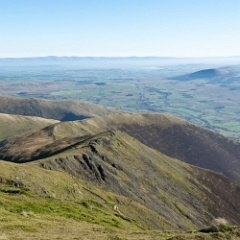 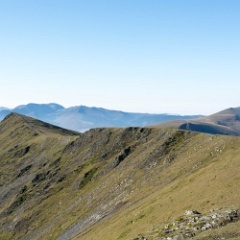 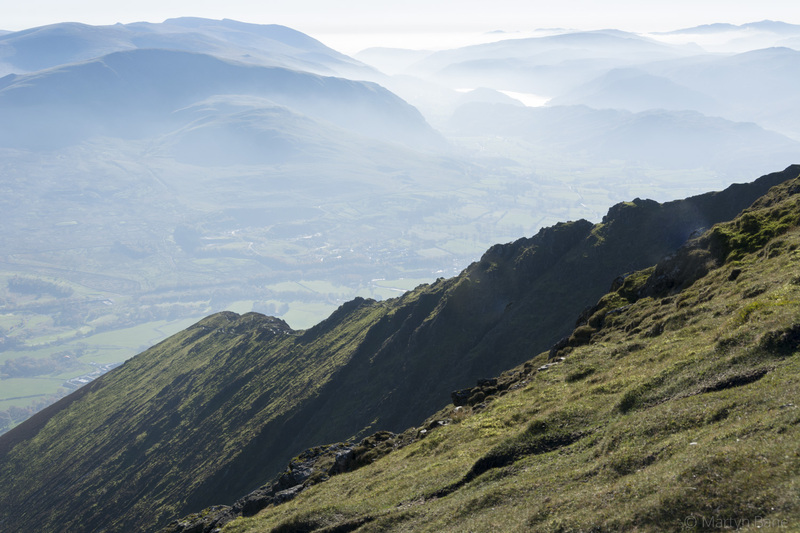 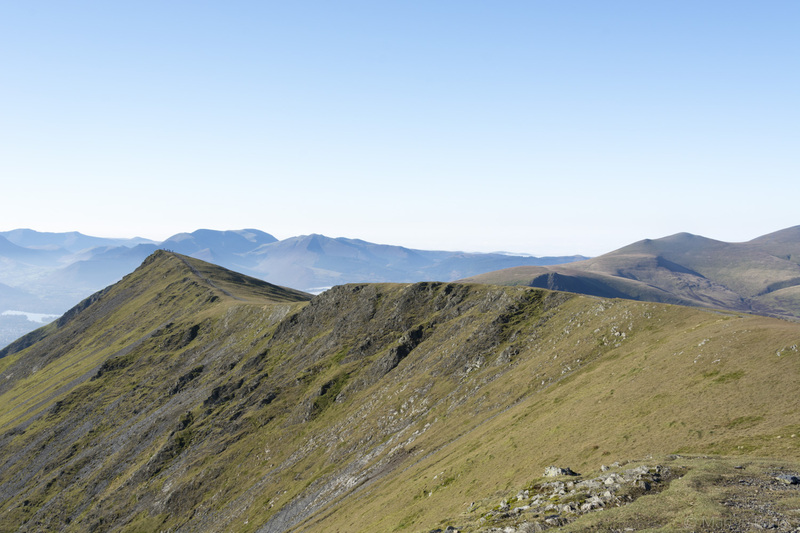 3 Blencathra via Halls Ridge. 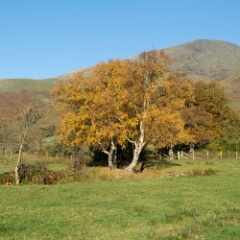 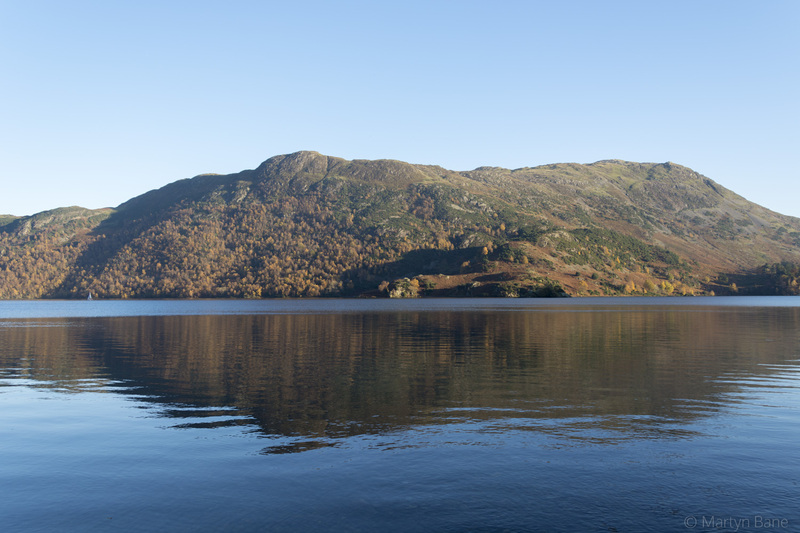 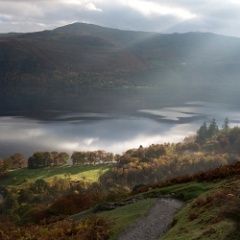 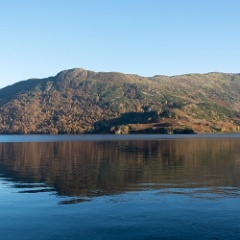 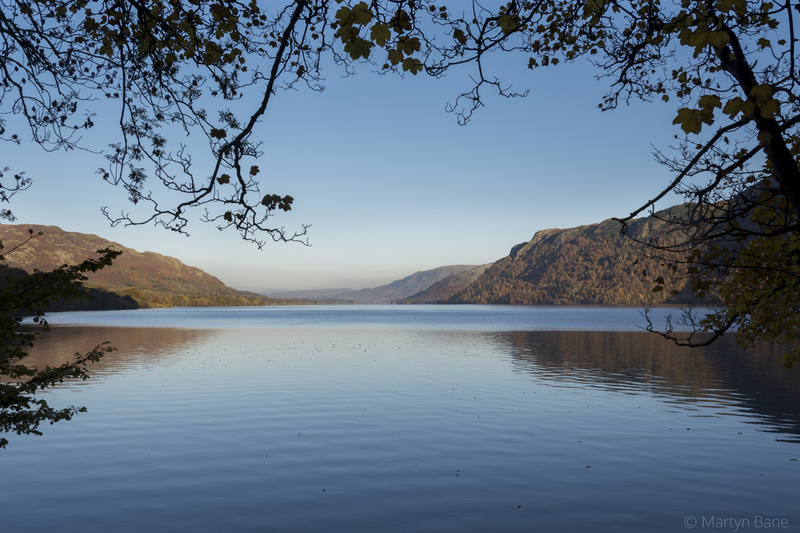 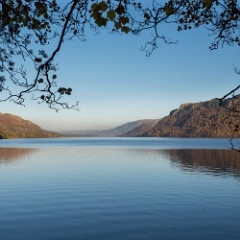 4 Autumn in the lakes. 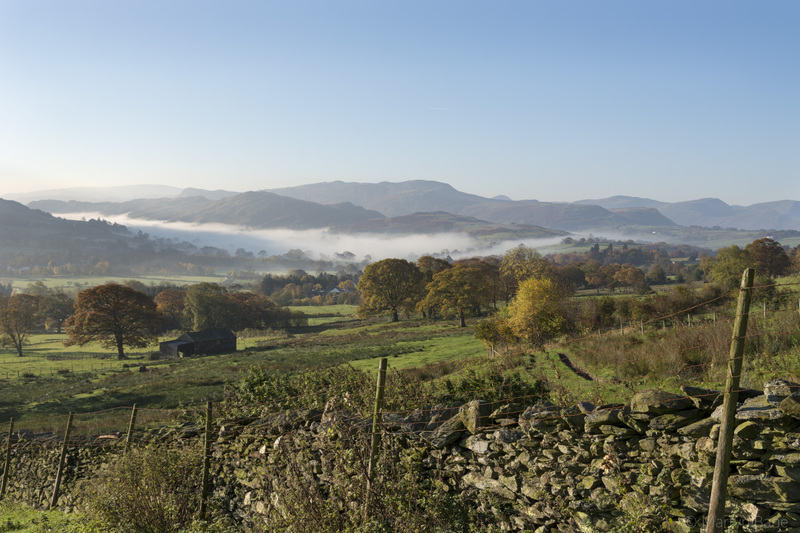 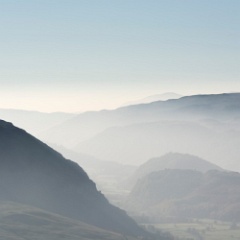 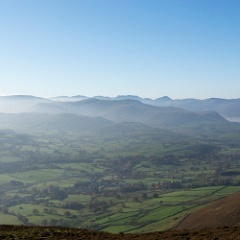 5 Mist hangs low in the valleys south of Keswick. 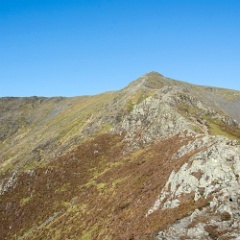 6 Just a small climb to get to the summit. 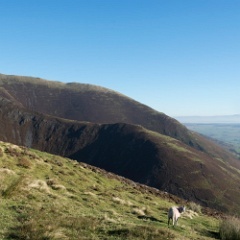 7 Starting to gain some height. 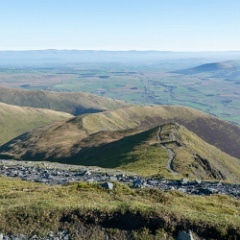 8 Looking east on the lower slopes of Blencathra. 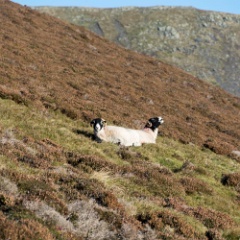 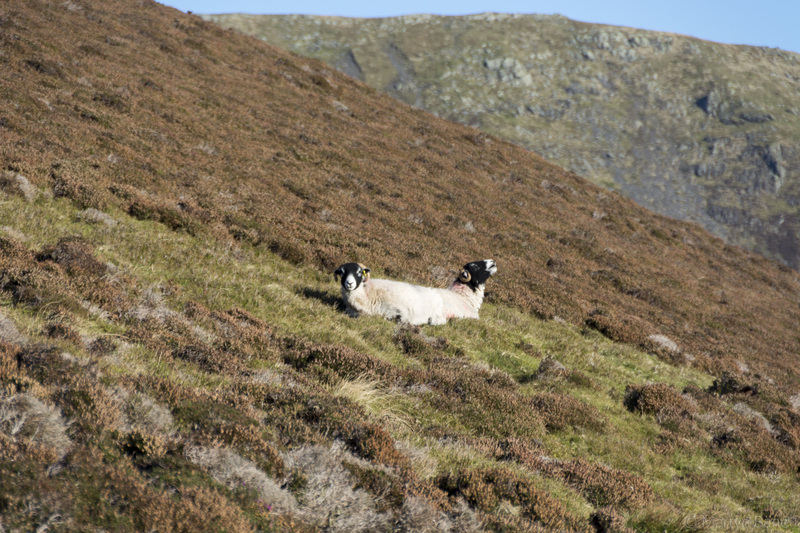 9 A Double Fairlie sheep? 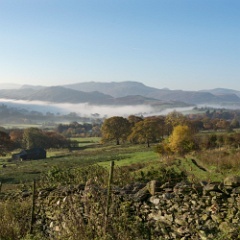 11 Mist in the valleys, sun above. 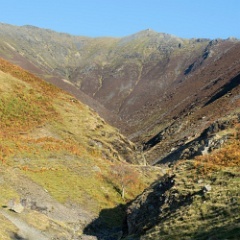 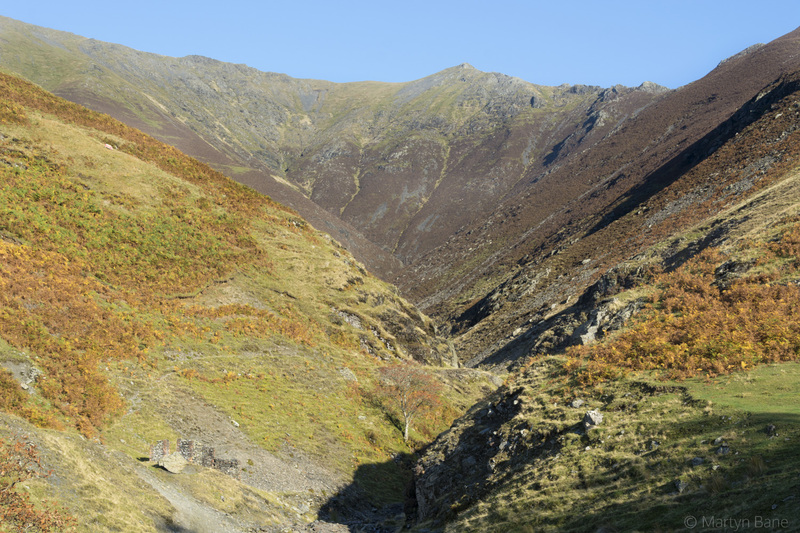 12 An alternative route to Blencathra. 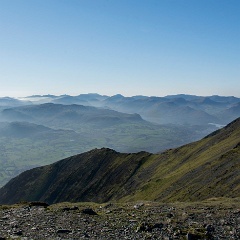 14 The view roughly south east from Blencthra. 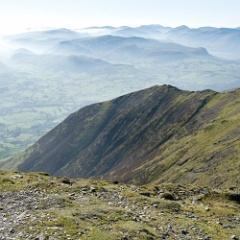 15 And looking south westish from Blencathra. 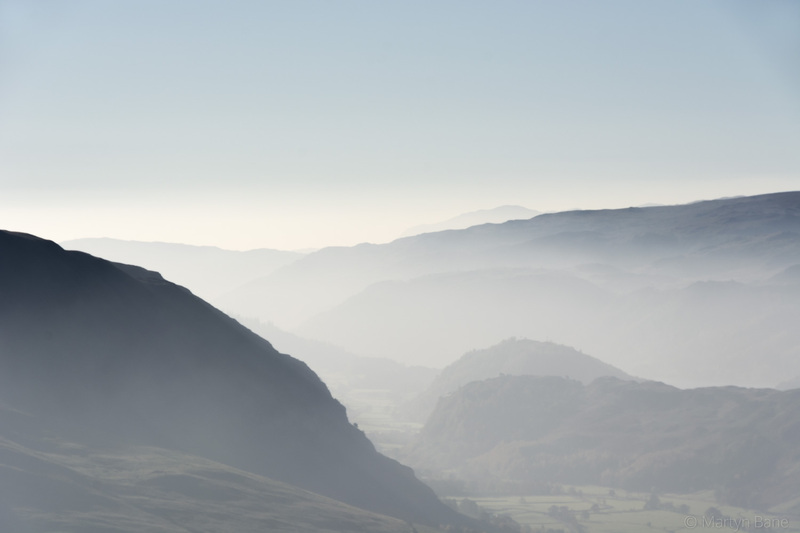 17 Mist in the distance. 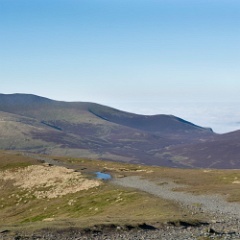 18 Looking more or less north, the cloud is very low. 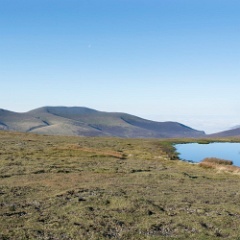 19 Scales Tarn and, in the distance, Skiddaw. 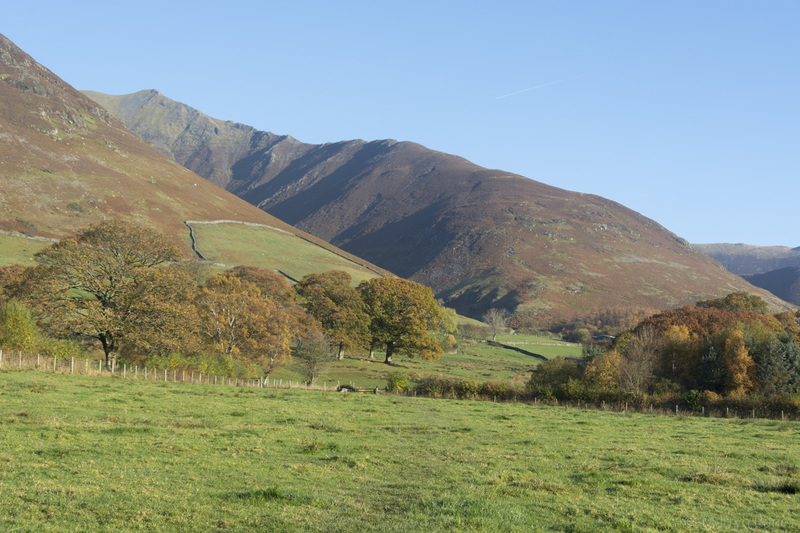 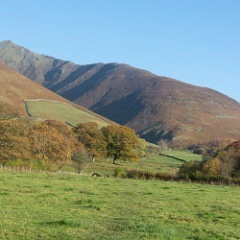 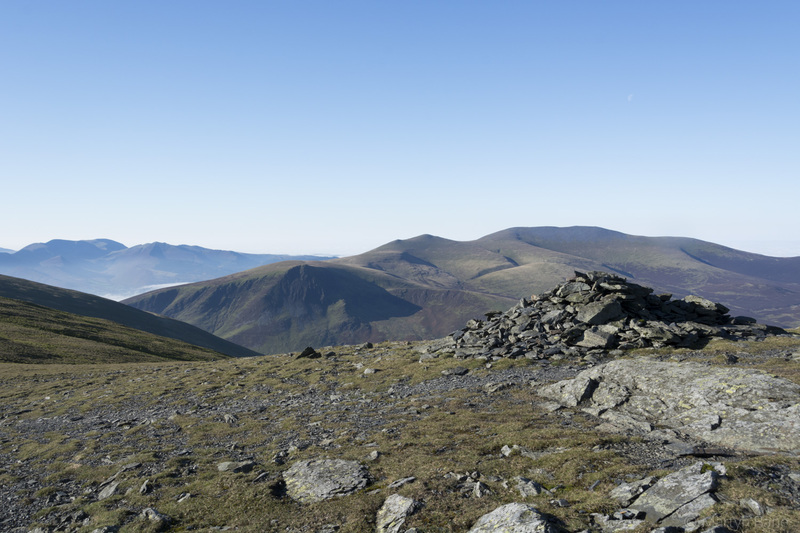 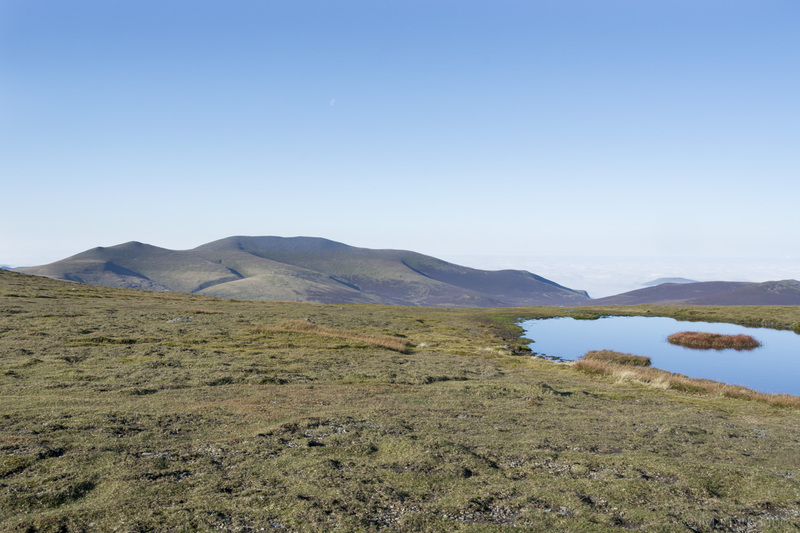 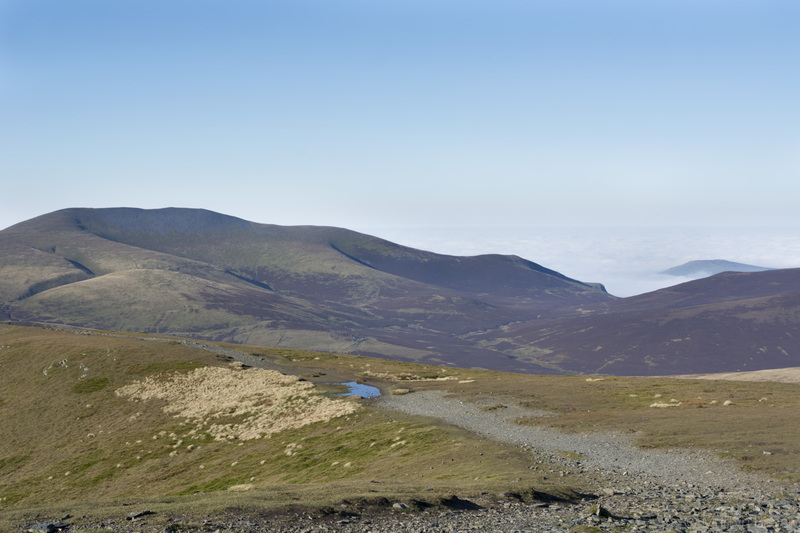 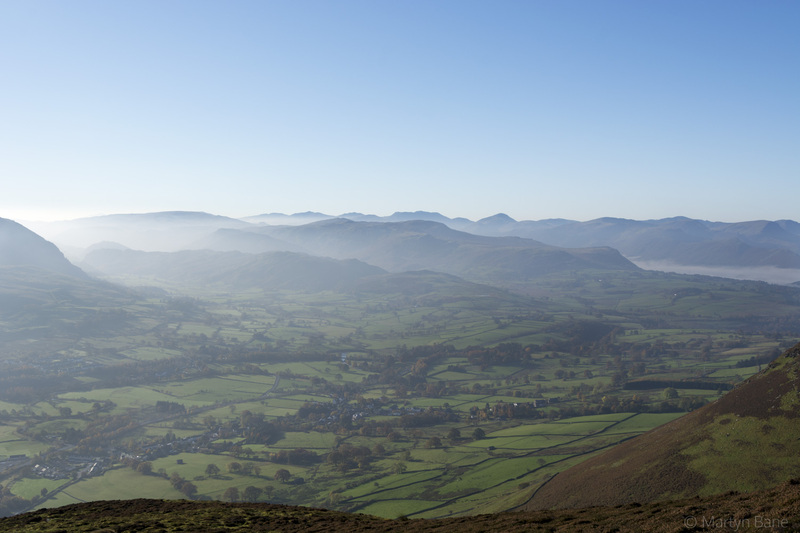 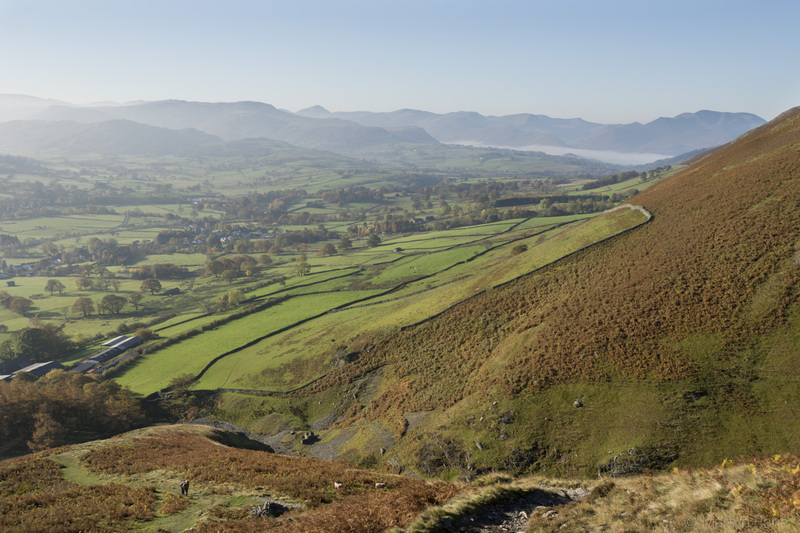 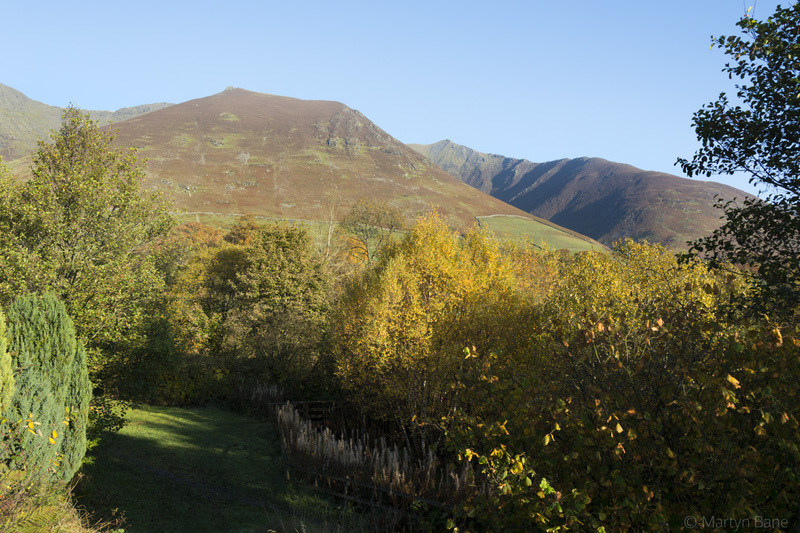 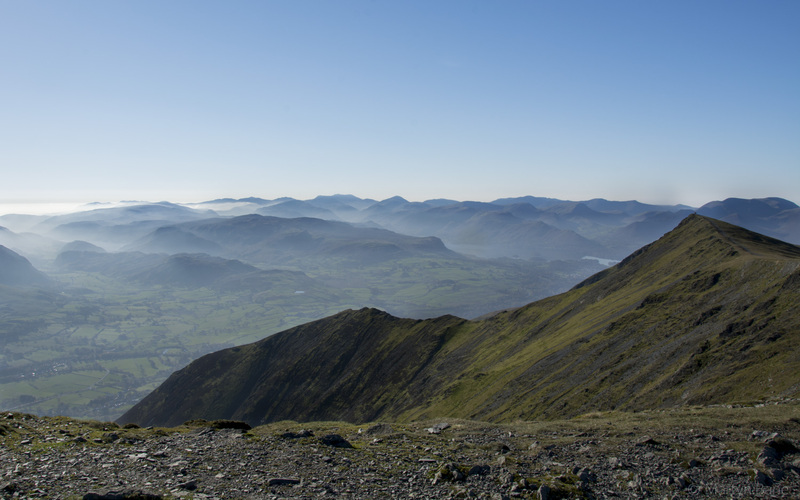 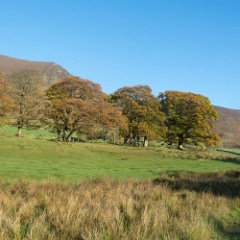 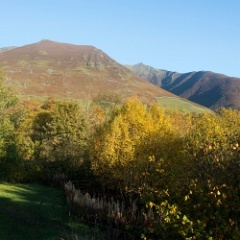 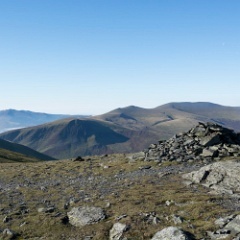 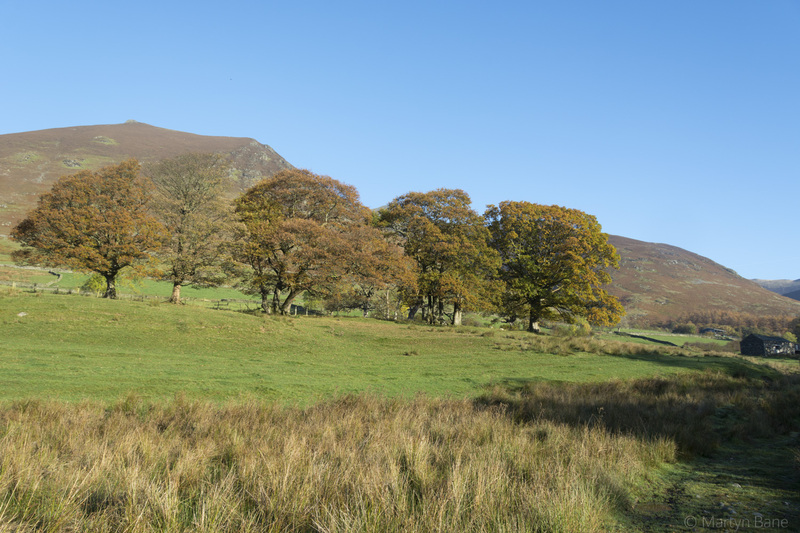 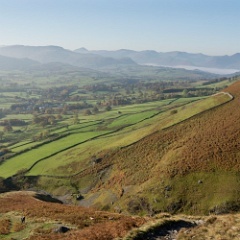 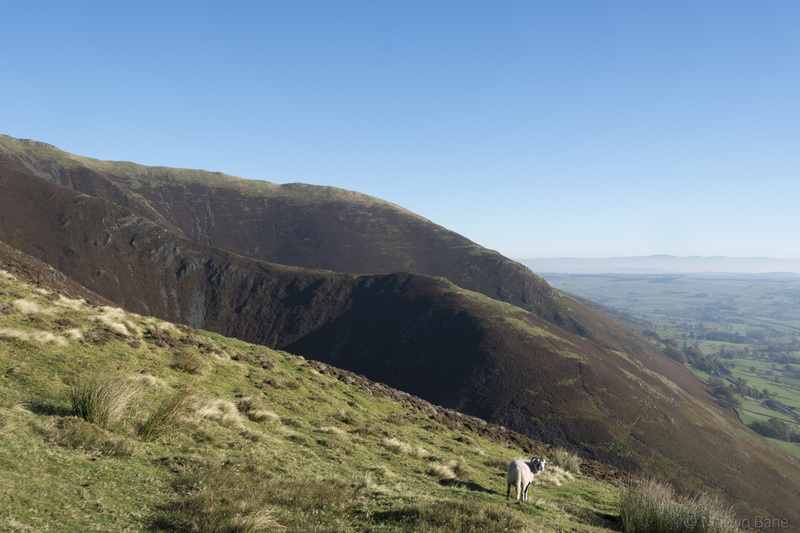 20 Skiddaw and surrounding peaks. 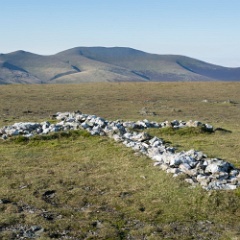 21 The white cross on Hallsfell Top. 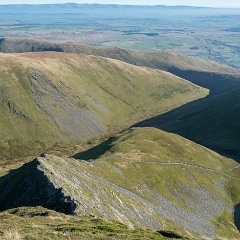 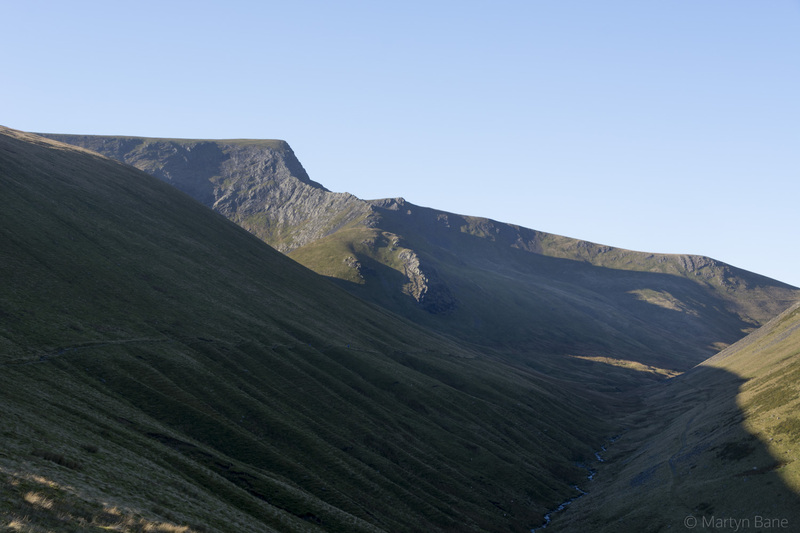 22 One route down via Sharp Edge. 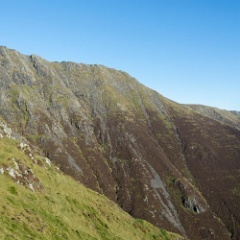 23 A less precipitous way down. 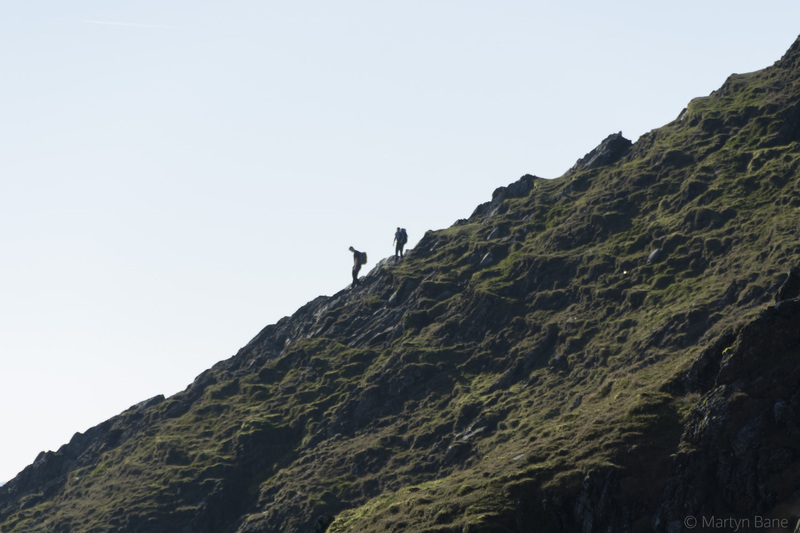 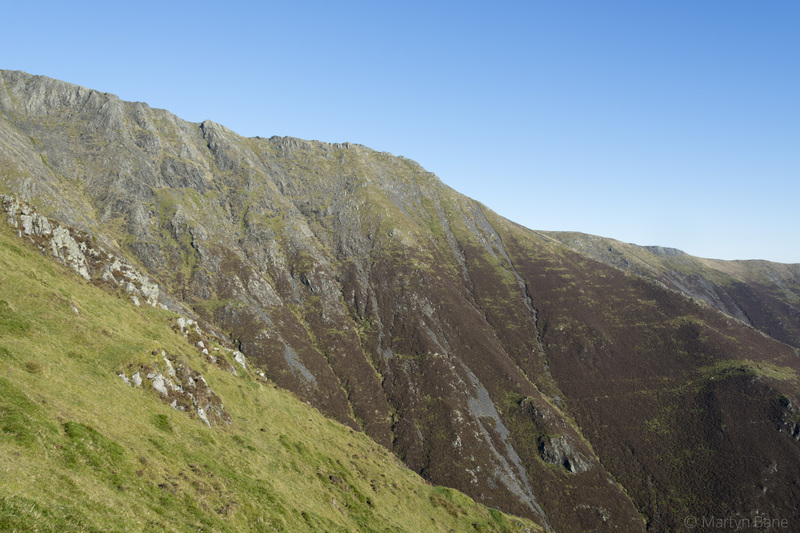 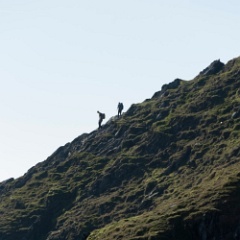 25 Walkers heading down Halls Ridge. 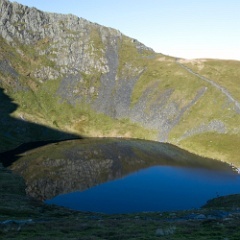 26 Scales Tarn below Strdiing Edge. 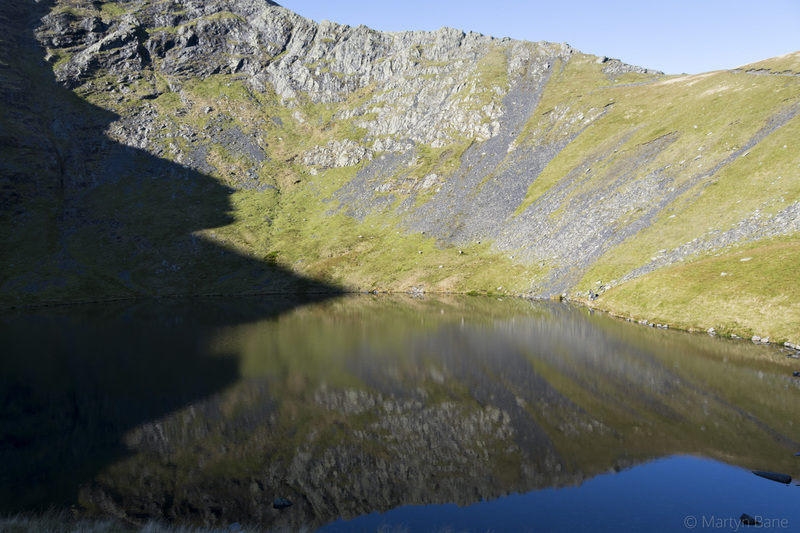 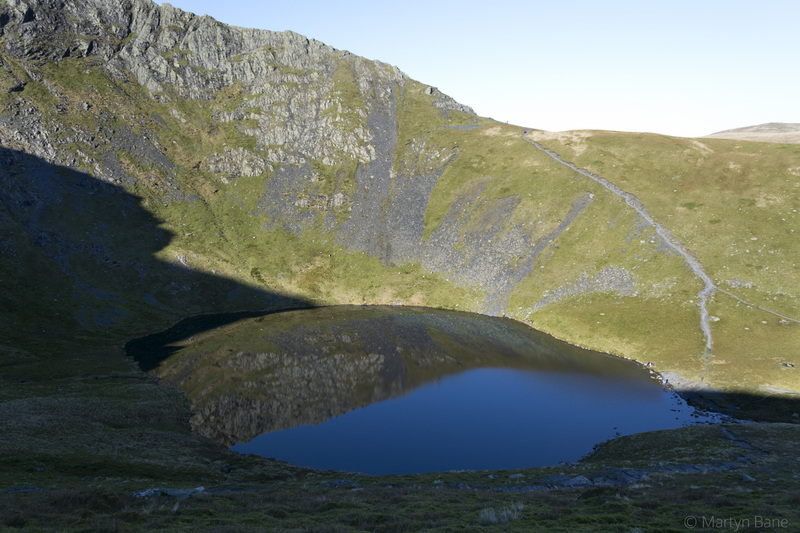 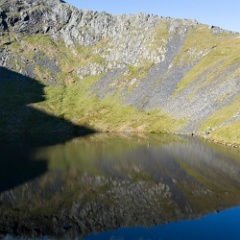 27 Striding Edge reflected in Scales Tarn's still waters. 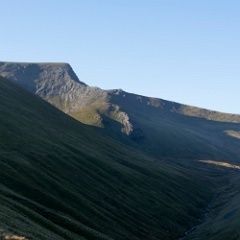 28 Looking back up the Glenderamackin river valley with Sharp Edge just to the left of centre.